If you stood next to the main street in your city or town today, what do you think you would hear? Chances are, it would be the sound of cars driving past, perhaps a honking horn or two. What if, instead of traffic, you heard the sounds of bike bells ringing, rollerblades stroking, and people laughing? There’s a movement happening in cities throughout the U.S. and the world to bring this latter scenario to life. They go by many different names – Open Streets, Ciclovias, BikeDays, Streets Alive, Summer Streets, and Summer Sundays – but all focus on one thing: closing city streets to vehicle traffic and making them available for people to walk, run, bike, rollerblade, and skateboard. Open Streets programming often takes place on Sundays from early to mid-morning through mid-afternoon, as this tends to be a day and time of the week with the least amount of vehicle traffic. In addition to turning the streets over to people, Open Streets often include complementary programming at locations along the route, such as yoga, dancing, basketball, and other health and wellness activities. 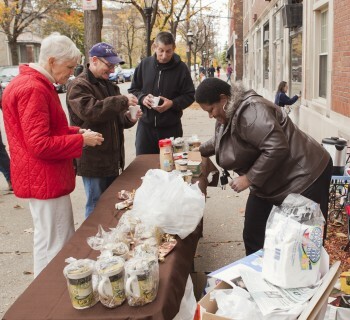 You may not realize it, but Open Streets programs have already started to pop up in Michigan. Every summer, Wayne County Parks hosts Saturday in the Park, where the County closes six miles of Hines Drive to traffic from 9:00 am – 3:30 pm. In 2007, a group of cyclists worked with the City of Ann Arbor to close just over a one-mile stretch of Huron River Drive to cars and open it up to cyclists for several hours. Get inspired. 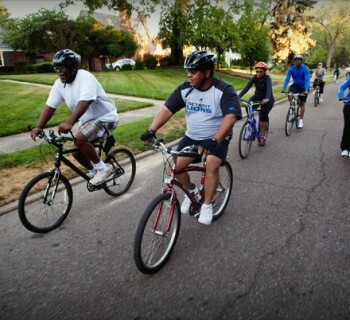 Take a road trip to one of the dozens of cities throughout the U.S. and North America that have Open Streets, and see it firsthand. Bike Miami Days in the middle of February? Yes, please! If a trip isn’t in the cards, watch one of these videos from Ciclovia in Bogota, Columbia, the birthplace of the Open Streets movement or The Rise of Open Streets, which looks at Open Streets in cities large and small, to help spark your imagination. Think big. As you consider locations that might be good candidates for Open Streets, don’t shy away from streets that seem too wide or challenging. They are often the iconic, main thoroughfares in our communities and can be the best candidates for Open Streets, as they provide people with the opportunity to experience a street in a way they couldn’t otherwise when traffic is present. Stretch it out. Just as important as the route’s location is the length of the route. You’re bound to attract more people if they can run, walk and bike on five miles of Open Streets than a half mile. Make it a habit. You might start off planning for Open Streets once a month throughout the summer, then evolve to bi-weekly or even weekly programming. By making Open Streets a regular occurrence in your community, you can help your friends and neighbors form healthy, active habits. Stay focused. Open Streets are different from festivals, fairs and sidewalk sales – they are designed to get people moving. As you start planning, it’s easy for mission creep to settle in. Keep the focus of your programming on activities that promote physical activity, community building and health and wellness. Shift minds by winning hearts. Open Streets can provide the foundation for bigger shifts in thinking about a community’s streets. Once people have had the opportunity to experience car-free streets, it can build support for more permanent changes such as installing protected bike lanes and widening sidewalks to accommodate more foot traffic. Get moving! 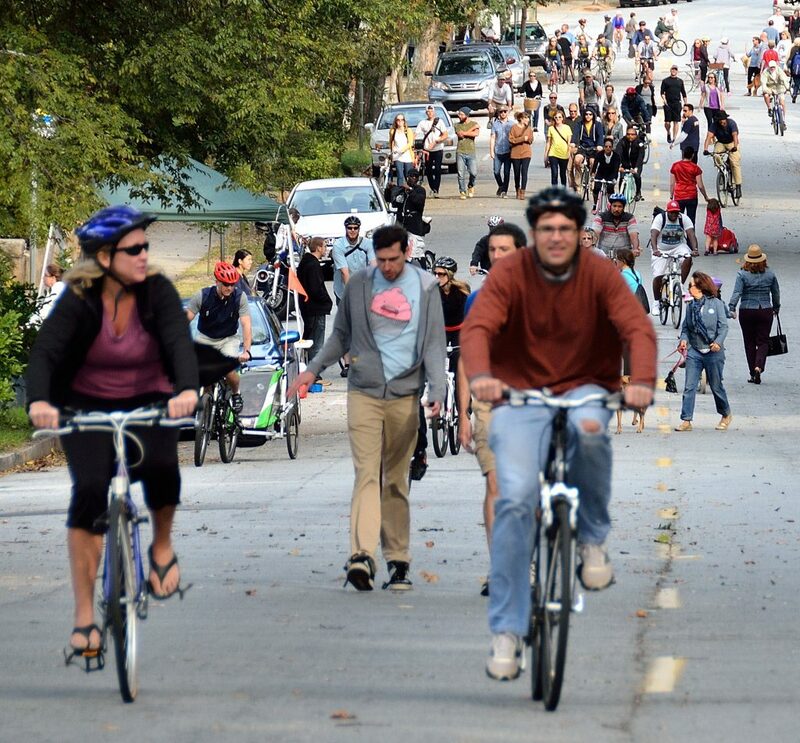 There are great resources to help you plan for and implement Open Streets in your community. 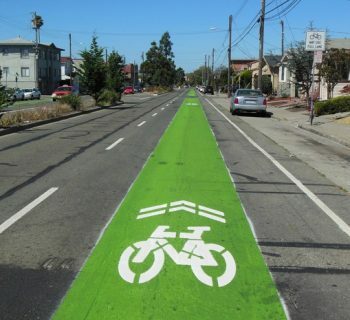 From Street Plans and the Alliance for Biking & Walking’s The Open Streets Guide and website to 8 80 Cities Healthiest Practice Open Streets planning toolkit, there are many great resources to help you start Open Streets.